For the past year, I’ve been exploring the Dark Web. I wasn't there to buy guns or drugs, I was assisting with author and consultant Stephen E Arnold with research for his latest book. 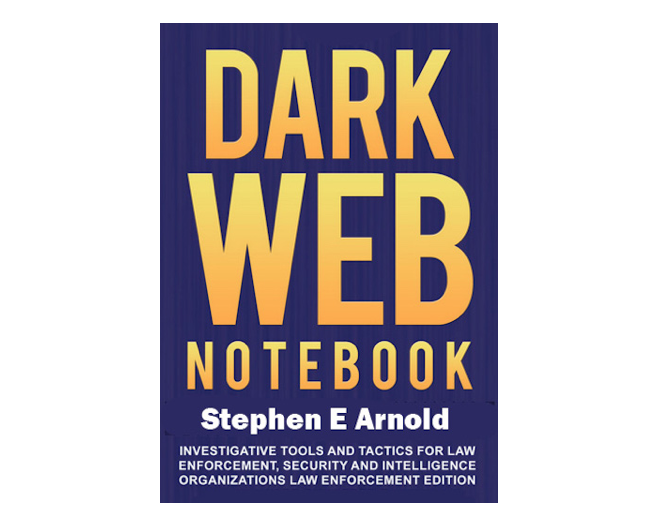 Dark Web Notebook is a practical guide to the digital underworld used by criminals and terrorists. It was written specifically to assist law enforcement, intelligence, and corporate security personnel. In one chapter, Arnold tells how obtain an untraceable computer, how to create a legend (a false identity), how to use Tor (the encrypted browser), and how to buy and use Bitcoin without revealing your true identity. 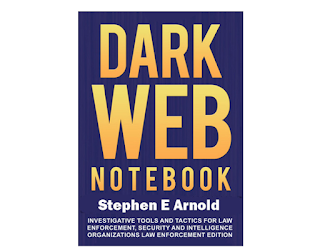 Other chapters present profiles of Dark Web vendors, open-source tools for investigators, and descriptions of the services private companies offer to government agencies and corporations. The 250-page book costs $49 and is available as a PDF download at from Gumroad, a digital publishing service. For more details about the book and the topics it covers, visit Xenky.com.